In August, Steadfast announced its fourth consecutive year of growth, recording an increase in net profit after tax of 10% in FY17. Its GWP hit record levels, with $5bn placed by Steadfast network brokers during the year, representing a 9.8% increase on FY2016. Meanwhile, Steadfast Direct saw a 115% boost to its GWP numbers, when compared to last year. Talking to Insurance Business, Robert Kelly mentions the major international deal Steadfast announced in June as another highlight. “We took a non-controlling interest in unisonSteadfast, which expands our international footprint into 130 countries and 200 broking operations,” he says. 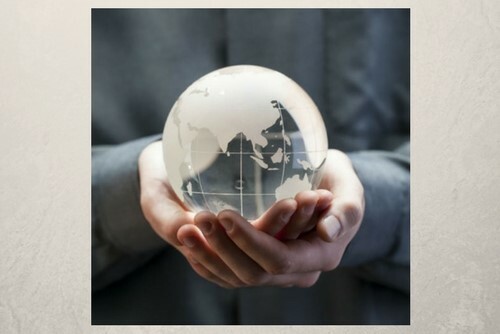 So, what does Kelly expect for the insurance space next year? “I think 2018 is going to be a stabilising year in the industry because of the recognition that prices have to go up,” he says. “I think the thing for 2018 we’ll be watching is to see what impact profitability has on underwriting flexibility.” Kelly discusses the need for greater awareness of the cyber threat. “I think there’s no doubt that the lack of understanding of cyber and its impact on the world is grossly underestimated and grossly misunderstood by the small to medium enterprise clients, which make up the vast majority certainly of our client base,” he says. Kelly is hopeful that when the new mandatory data breach notification regime comes into effect shortly, it will heighten concern about the cyber threat within the wider community as businesses begin to understand the level and frequency of cyberattacks. “I think that some of the larger financial institutions may absolutely scare the pants off people when they see how [those institutions] actually are being cyberattacked,” he says. Kelly also talks about the need to work towards more efficiency in handling data. “I’m seeing the whole industry is looking at how it can move data and how it can read and how it can get data to the consumer,” he explains. Kelly remembers when motor insurers moved from paper claim forms to telephone notification in their efforts to expedite claims. “There was an uproar in the industry, where people said it wouldn’t work,” he recalls. “And now I can tell you, at any broker forum that I run, if I was to say, ‘We’re going to go back to paper claim forms’, there would be an uproar. And as for trends he’ll be watching next year, Kelly says: “I believe that we’re always in a transitional time. You can’t look at the way we’ve done business and keep saying that’ll endure for another 20 years. We have to continue looking at what is motivating people to buy and how they are buying, and on what basis do they seek and get information and use information. Last year, David Kearney talked to Insurance Business about the significance of diversity and inclusion as an industry issue. 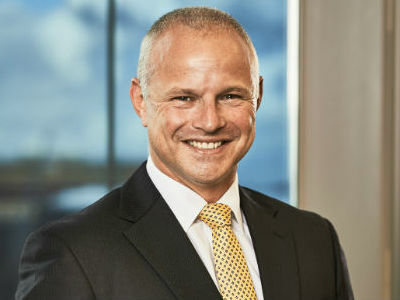 “I’m pleased to see how the industry has embraced the topic by supporting the Lloyd’s Dive In Festival, and delighted that W+K could assist in sponsoring the first-ever Melbourne event in conjunction with SURA and Liberty International Underwriters, where we aimed to raise awareness about unconscious bias in insurance through an afternoon of interactive workshops and keynote speakers,” he says. This year, W+K celebrated its 15th anniversary as a law firm singularly focused on insurance. “In the last 12 months, we have had two significant developments in recognition that insurers, brokers and their customers are not confined by national borders,” he says. The first is the establishment of Legalign, a global alliance of best-in-region insurance law firms that includes W+K, Wilson Elser (US), DAC Beachcroft (UK and other territories), and BLD Bach Langheid Dallmayr (Germany and connected into Europe). The second, he adds, is W+K’s move from a national four-office presence to a regional sixoffice presence, with the opening of offices in Auckland and Wellington. 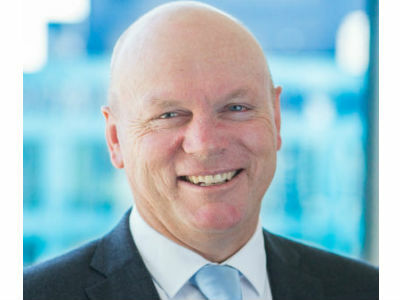 “With the increasing number of global issues flowing from cybercrime, securities class actions, product recalls, concussion in sport, and autonomous vehicles (just to name a few), I’m looking forward to utilising the breadth of our new alliance and now regional presence to deliver high-quality solutions to the insurance industry and their customers doing business in our region,” Kearney says. In 2018, W+K will increasingly focus on thought leadership. Discussion moves to the greatest legal and regulatory challenges for the industry in 2018. Asked if there’s a legal or regulatory issue on which he thinks the industry should be working with other stakeholders to find a solution, Kearney cites what he describes as the “perfect storm” in the class action space, created by the rise of litigation funders, the plaintiff law firm business model, and a “class friendly” legal environment. “Such a solution must maintain access to justice for aggrieved plaintiffs but not put at risk the ability of corporates to transfer risk in a way which is conducive to assisting a growing, thriving economy,” he says. Talking trends that W+K will pay particular attention to, Kearney says there are two horizon themes the firm will be watching closely. 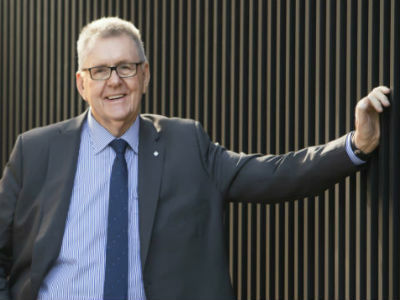 Kearney, like many of his industry colleagues, believes the pace of change in the industry is only likely to increase. Allianz Australia this year took out both ANZIIF’s and AB+F’s General Insurance Company of the Year awards, as well as Insurance Business’s Insurer of the Year. Richard Feledy is extremely proud of these accolades. “It’s recognition of the great work that 4,500 employees at Allianz wake up and deliver for our customers and partners on a daily basis,” he tells Insurance Business. Reflecting on 2017, Feledy is also proud of the industry’s response to Cyclone Debbie, which has so far resulted in insurers receiving more than 72,000 claims and racked up a damage bill in excess of $1.6bn. “We’re getting much better at serving our customers during events like Debbie, and with claims finalisation rates now running significantly ahead of similar events, I think it’s a real testimony to our industry,” he says. On 1 January, Feledy takes over the role of managing director of Allianz Australia, replacing Niran Peiris (who joins the Allianz SE Board of Management). 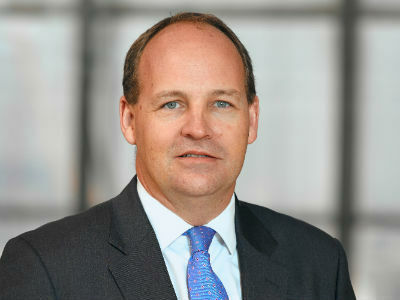 He’s looking forward to continuing to deliver on the key pillars of Allianz’s strategy, including enhancing its customer focus. “There’s a real opportunity for us and our industry to simplify our products and make sure that we’re always on, so that they are able to connect with us and deal with us in a manner that suits them,” Feledy says, stressing the need to embrace technology. “It’s critical that we start to almost replicate, I think, what’s been done in the online banking community. It wasn’t that long ago when people would give up their lunch hours to go and stand in a bank queue in order to do their banking, whereas now you can do it when it suits you – walking down the street, sitting at home – and at whatever time and hour. In recent times, Allianz has substantially invested in redesigning and rebuilding its SME platform, Allianz Alive, and has received highly positive feedback on its changes. “I think that’s a great example of some of the investment that we are making to hide some of the complexity in the business and ensure that we continue to interact in a productive way,” Feledy says. Asked to cite the biggest challenge facing the industry, Feledy mentions the fact that change is the only constant. “It doesn’t matter whether we’re talking about the economic landscape, technology, climate change, increasing regulation, or changing customer expectations, we need to ensure that we embrace and respond to that change,” he says. For Feledy, right now is an exciting time to work in insurance. As has been widely reported, IAG is currently implementing major structural changes. Looking back on 2017, Bessell is proud of how IAG has handled the commercial market cycle. Talking 2018, Bessell highlights the opportunity for the industry to promote greater awareness of available services around risk mitigation and prevention. Talking about the digital space, it’s patently clear Bessell is excited about the organisation’s work to enhance its own customers’ experience. “We really think there’s an opportunity for us to stretch our lead in the SME market in Australia by creating greater customer experiences, and the digital interface is going to be really important for that experience to be improved,” he says. Addressing the subject of new entrants, Bessell says the industry shouldn’t be afraid of disruption because it is simply indicative of the evolving needs of customers. “I think you have to look at it in a positive way,” he says. “We’ve got to leverage the assets that are at our disposal really efficiently, we’ve got to test new things, we’ve got to look outside of insurance to see what works really well, and we’ve got to make sure that we don’t come up with ideas or notions that aren’t designed from the customer’s perspective. But the future, he emphasises, won’t be all robots and digital interaction. Like Allianz’s Richard Feledy, Chris Mackinnon sees the industry’s performance when catastrophe struck as a highlight of 2017, specifically during Cyclone Debbie. The other highlight Mackinnon identifies is the reasonably strong indication that the market is turning. I think that that allows us to carry on doing what we do well and again see the industry approaching underwriting and pricing on a rational and considered basis,” he says. “There’s been a uniform approach to that, from what I can see. Looking at next year, Mackinnon is excited to continue work on market modernisation. “We are changing very quickly within the Lloyd’s market,” he says. Mackinnon says there’s a focus on data handling and facilitating transactional business into London more effectively. He also says Lloyd’s is looking at significant enhancement of the claim settlement process. “We’re exploring a number of options to speed up the process and remove speed bumps and road blocks within the claim settlement piece,” he says. Mackinnon confirms the return of the Dive In Festival in 2018. This year, 1,400 people attended 10 events in Australia across three cities. Mackinnon talks about the challenge facing the industry in the form of the introduction of the mandatory data breach notification regime. “I think that’s going to be a real turning point for Australia as a country, in terms of what we’re doing with cyber and cyber risk, but also a huge opportunity for the insurance market,” he says. Aon Risk Solutions took home ANZIIF’s Large Broker of the Year award for the fifth time this year and has had success on numerous fronts. “2017 will be our fourth consecutive year of strong improved performance with improved organic revenue growth, higher client numbers, higher client retention, and obviously when we get to the end of the year we’ll be able to disclose those numbers formally,” Lambrou tells Insurance Business. The Aon chief is excited about the forthcoming launch of the business’s new plan. “Our new long-range plan, which will run for three years in Australia, gets launched on 1 January,” he says. Lambros also talks about mergers and acquisitions. “We have a very strong pipeline, we have a strong appetite to invest in adjacent capabilities and core capabilities to help our business grow inorganically, and we see lots of opportunity in Australia and the broader specifi c region to do that,” he says. And there’s plenty going on elsewhere in Aon. “We are demoing a number of really exciting and innovative analytical tools with clients at the moment, where we’re getting a lot of really good feedback from them,” Lambrou says. “Next year, we’re going to be formally launching the prototypes of those tools for our clients in the Australian marketplace, which we feel really excited about.” Lambrou also talks about change he thinks the industry needs to see next year. 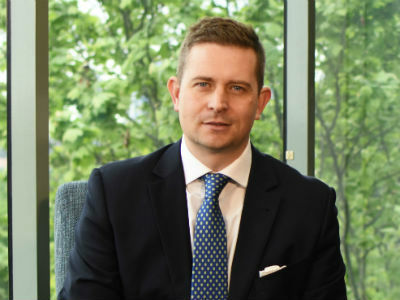 Hamish McDonald Nye, who recently joined the ProRisk team, tells Insurance Business about his first nine weeks in the new role. McDonald Nye cites claims management as a highlight for ProRisk in 2017, pointing to its annual survey that quizzes insureds who have had claims during that time. “We had 100% of those surveyed renew a policy with us,” he says, adding that the figure includes insureds whose claims didn’t qualify. McDonald Nye says his main objective next year is to continue building ProRisk’s underwriting talent. “My main goal is to continue to build a team and gear us up for our future growth,” he says. McDonald Nye says the business will also commence development of some technology solutions. “The date for the release of those solutions is not established yet, but that’s something that we’re working around,” he says. There’ll also be some new products. “We’ll be releasing some new products to the market and looking at reviewing our current production solutions,” he says, adding that brokers can expect a commercial cyber offering, as well as a clinical trials solution. On the subject of products that offer real opportunities for brokers to better educate clients, McDonald Nye singles out three products, beginning with business interruption insurance. He also discusses management liability. “You’ve got all of the major providers of management liability singing from the same hymn sheet and saying that this is a really challenging class of business,” he says. “When you see that, you know that it’s something that brokers have got to be all over. It’s an essential product that is largely distributed by general insurance practitioners, not professional lines practitioners, and they’re complicated, they’re not standard, and they’ve got huge horizontal exposure. Finally, McDonald Nye mentions medical malpractice insurance, which he says is “really poorly understood by the general insurance market”. He also refers to the attention the wider insurance industry has received from politicians and regulators in 2017, citing ASIC’s focus on the add-on insurance market as an example.